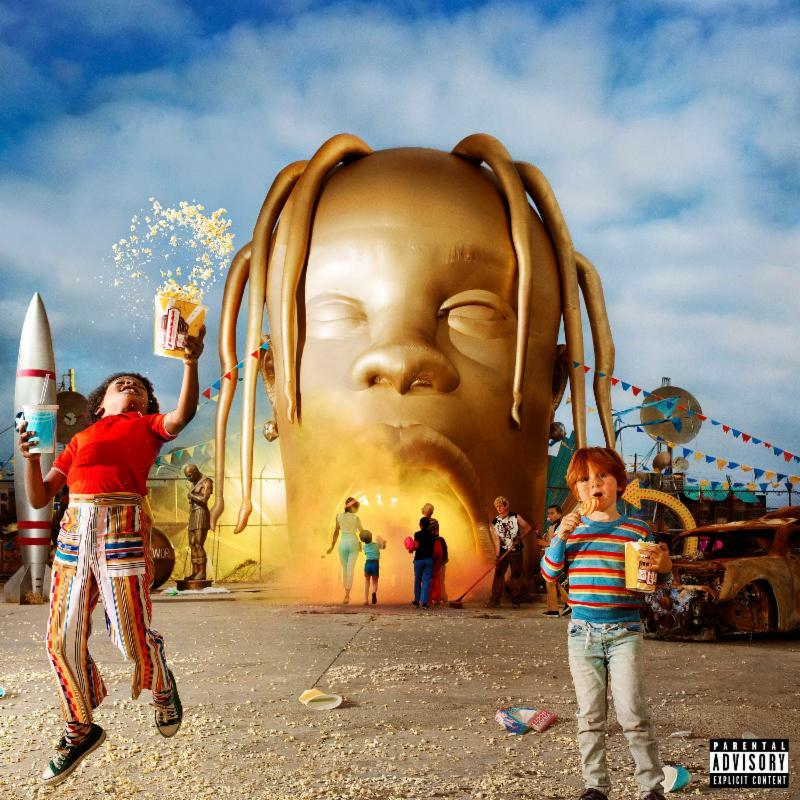 ASTROWORLD IN TOP 10 OF HOT 200 ALBUM CHART FOR 15TH STRAIGHT WEEK. 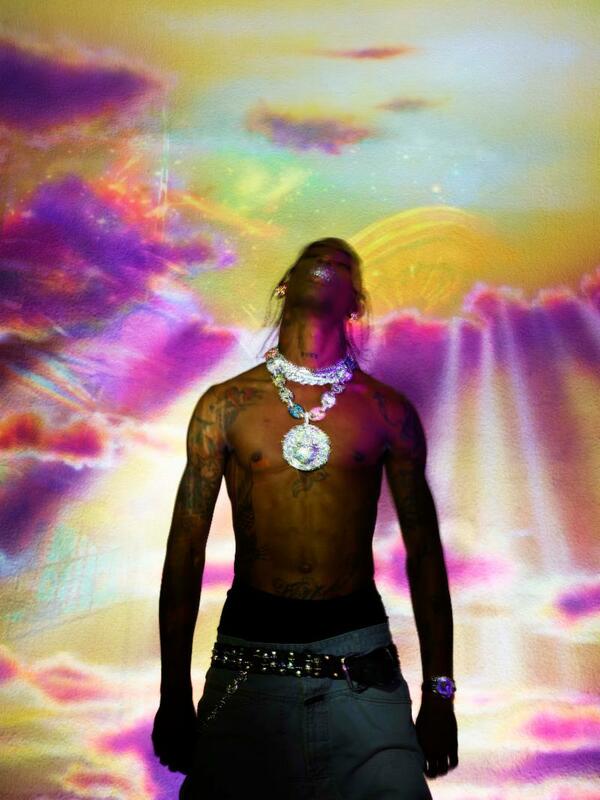 Travis Scott is back to share a new remix of his 2x RIAA platinum-certified hit single “SICKO MODE” by American DJ and producer Skrillex. Stream the new remix on all platforms here or listen below. The remix premiered on Travis’ website last night and arrives following his release of the video for “SICKO MODE,” which was co-directed by Dave Meyers and Travis himself, and has surpassed 88 million views on YouTube worldwide. On the latest version of the song, Skrillex adds the signature bounce that he’s become known for over his career as an artist, DJ and founder of the record label and creative collective OWSLA. 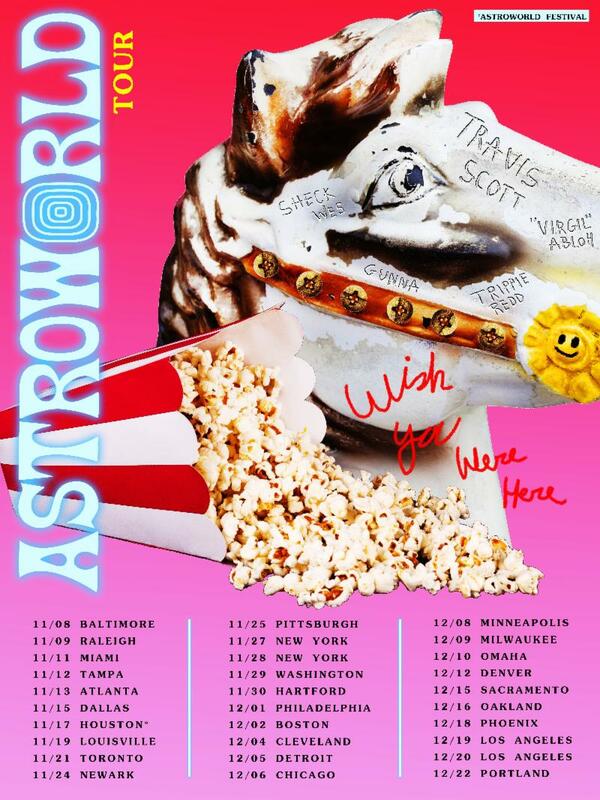 Travis is currently in the midst of his biggest US tour yet: “ASTROWORLD: WISH YOU WERE HERE.” Bringing the ride of a lifetime with his chart-dominating blockbuster album ASTROWORLDto life on stage, the tour kicked off on November 8th in Baltimore and will roll through historic venues like The Forum in Los Angeles before concluding on December 22nd at Moda Center in Portland, OR. Last night saw Scott perform the first of his two sold-out dates at Madison Square Garden in New York City, with the second of those sold out MSG shows happening tonight. Tickets for remaining shows are available here. Additionally, ASTROWORLD has retained a spot in the Top 10 on the Billboard Top 200 album chart after debuting at #1, currently been Top 10 for the 15th week in a row. Upon its release, the album earned the “second highest debut of the year,” and raised the bar by achieving the “biggest ever first-week streaming total for Sony Music” with 349.43 million streams worldwide. This notably marked the highest pure sales week of the year as well. This takeover paved the way for his second MTV VMA performance, ASTROWORLD Festival in Houston, and the gargantuan “ASTROWORLD: WISH YOU WERE HERE TOUR” in 2018 and 2019.